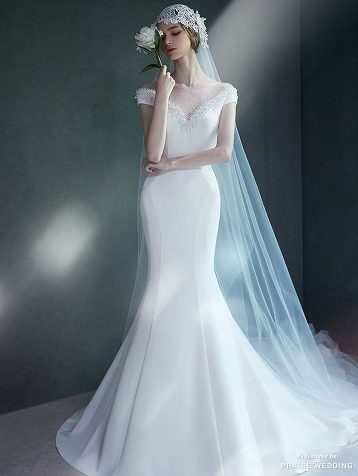 This fitted wedding gown from Marilena by Blanc featuring delicate lace detailing is an absolute bliss! 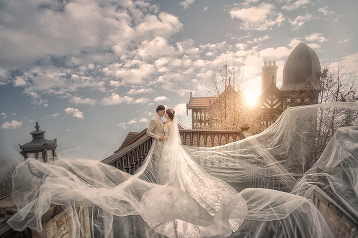 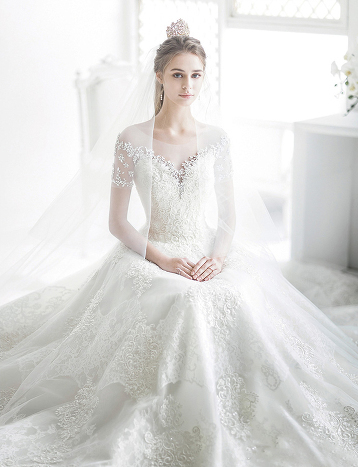 This romantic wedding dress from J Sposa Wedding featuring delicate lace detailing is stealing our hearts! 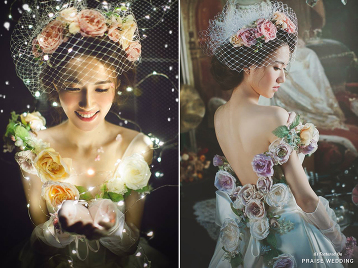 This vine-inspired wedding gown from Clara Wedding will definitely make you the queen of the day! 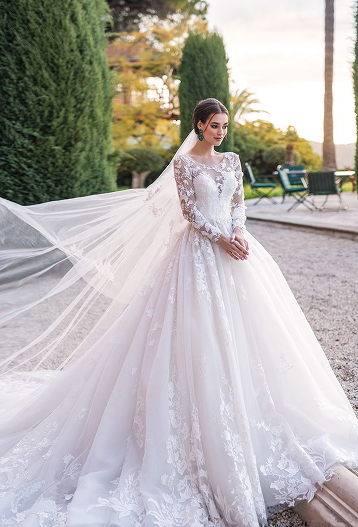 This stunning wedding gown from J Sposa Wedding featuring delicate lace details is off the charts beautiful! 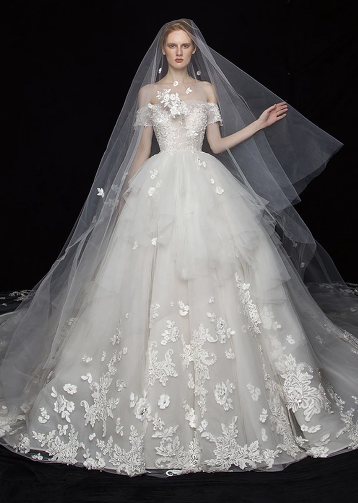 This romantic wedding gown from Sophie Design featuring lively 3D flowers and a beautiful back design is showing major princess vibes! 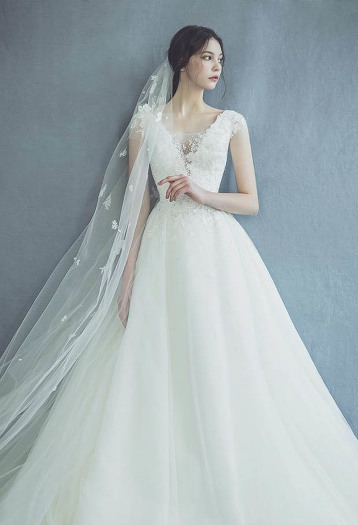 This glamorous wedding gown from Blanc Neul featuring exquisite lace details is overflowing with regal romance! 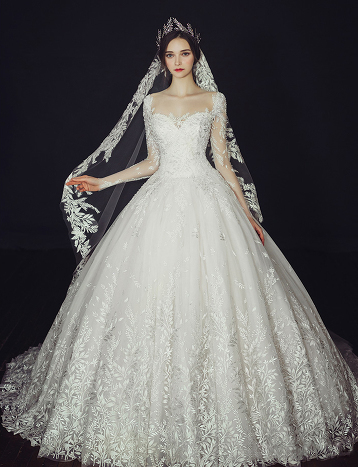 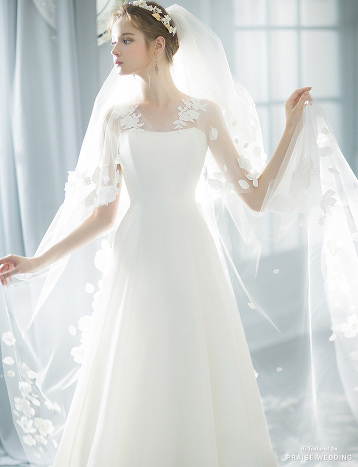 This glamorous wedding gown from S.eri Wedding Dress featuring floral lace applique is a beautiful work of art! 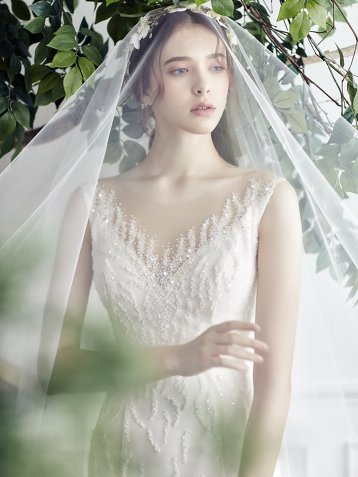 This timelessly elegant wedding dress from J Sposa Wedding featuring sophisticated lace appliques is off the charts beautiful! 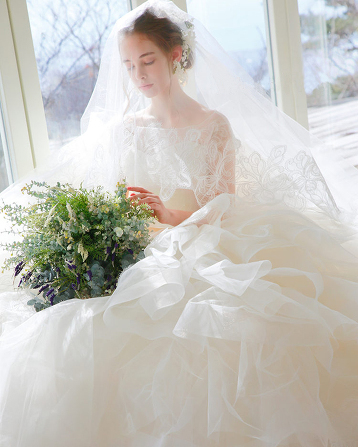 This wedding dress from Polaris Wedding is the definition of pure romance! 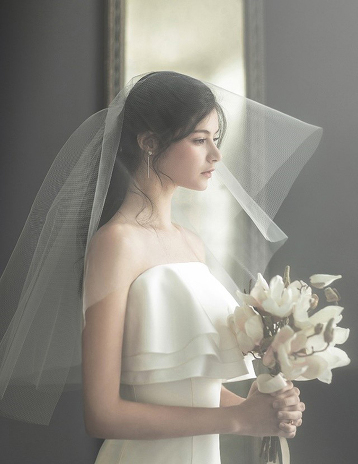 This beautiful bridal look from Polaris Wedding featuring a classic wedding dress and a stunning floral veil is beyond incredible! 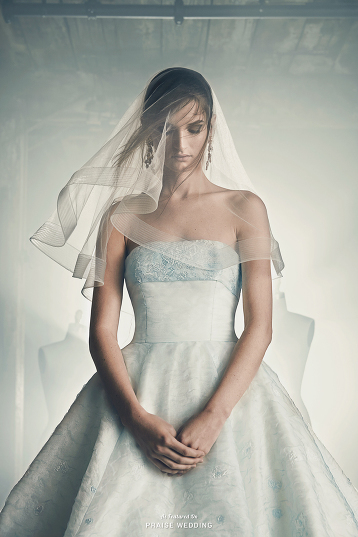 Dreamy, romantic and oh so chic, this airy blue gown from Sareh Nouri’s latest collection truly defines timless elegance! 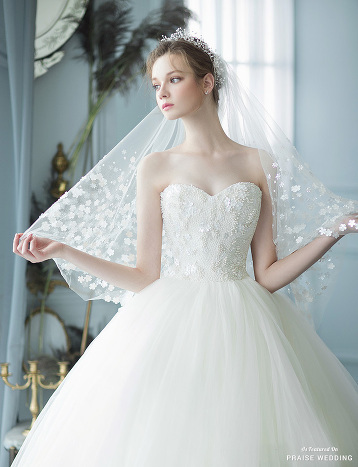 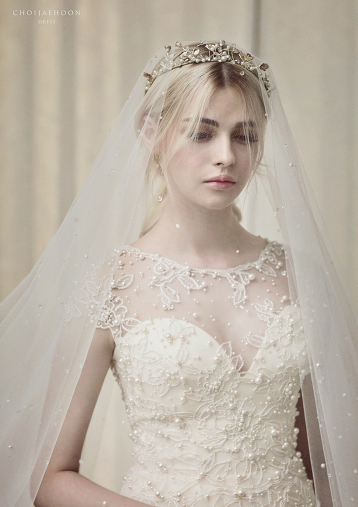 Utterly romantic wedding gown from Grace Dew featuring timeless jewel embellishments! 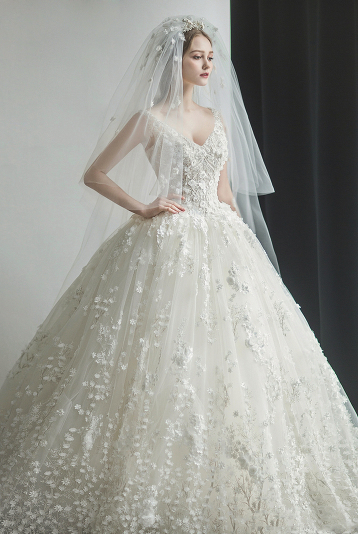 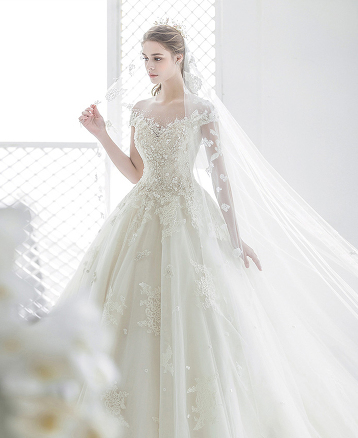 Choi Jae Hoon presents this elegant wedding dress featuring sophisticated jewel embellishments! 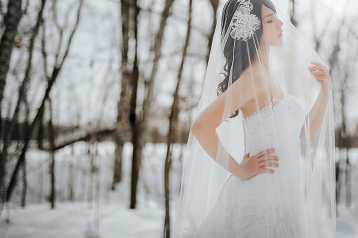 Believe in love! 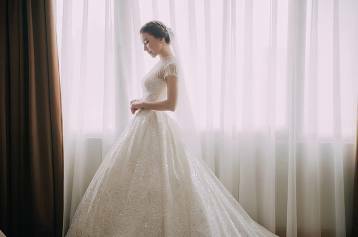 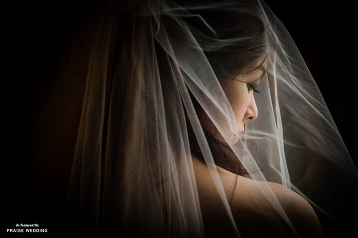 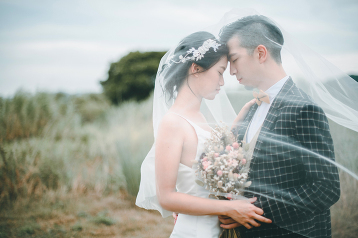 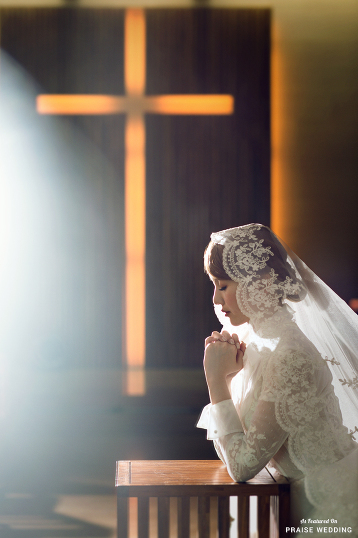 A beautiful, timeless bridal portrait that shows true love is worth the wait! 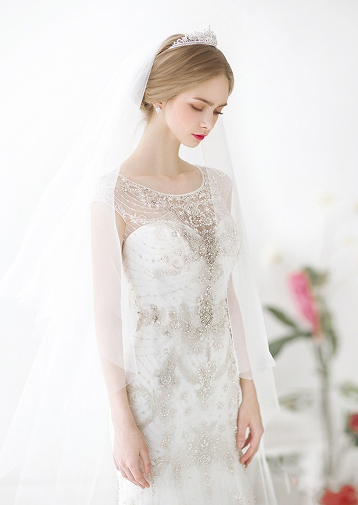 In love with this timelessly elegant jeweled gown from Inno Wedding featuring utterly chic embellishments! 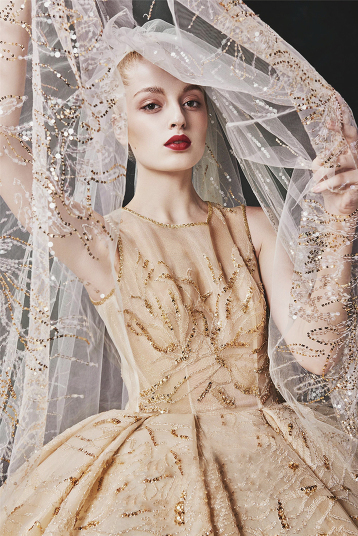 A show-stopping golden gown from Cass Wedding featuring metallic thread accents and a matching statement veil! 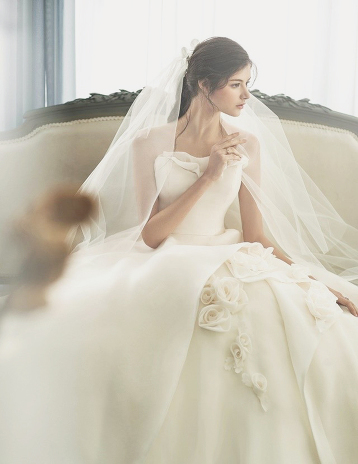 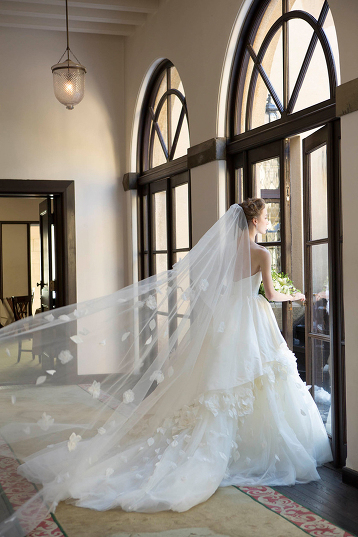 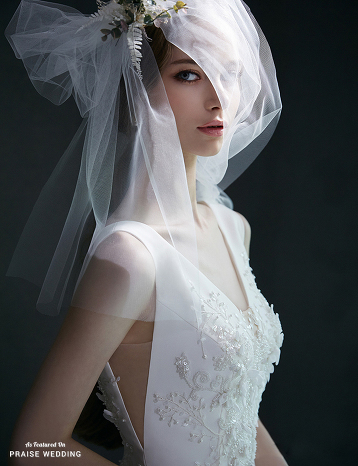 The combination of this graceful white wedding dress + elegant floral veil from Signature The White is shouting romance! 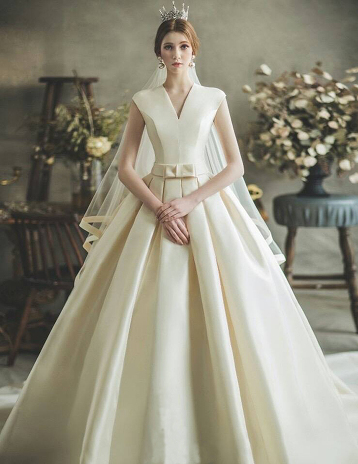 This elegant gown from Inno Wedding featuring a striking silhouette portrays glamour and sophistication for a very elegant bride!